I’ll own up to it: I haven’t finished The Vacationers yet. I’m a little bit more than halfway through, and though I could probably have held off posting about it until I’d actually read the whole thing, I’ve just spent the better part of today lying in my backyard getting sunburned and savoring this book. It fits just so perfectly into this month’s theme that I just can’t help myself. If something truly horrifying and unexpected happens in the second half that undermines everything I write here, I’ll come back and edit the post. But somehow I’m not worried. The Vacationers is full of delicious bits like that. It’s drenched in sun and pool water and olive oil, and it’ll make you wish you were, too. Though maybe not literally. 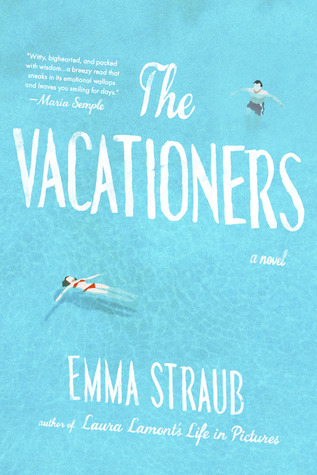 This entry was posted in July 2015 and tagged emma straub, july 2015, majorca, mallorca, setting, settings we want to go to, the vacationers, vacations, writing about books i haven't finished. Bookmark the permalink.